Maesdu Golf Club was founded in 1915 when the town council bought the ground formerly known as Maesdu (meaning Black Field) Estate. 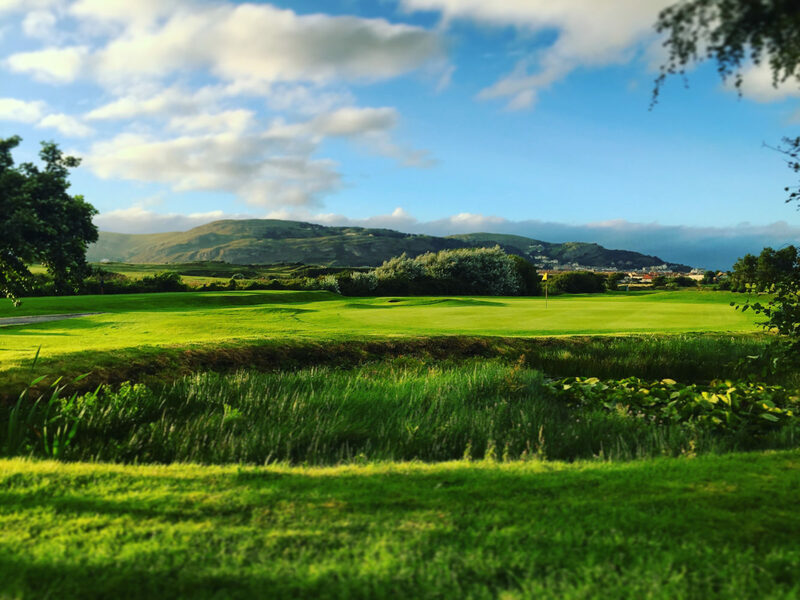 As well as providing the local community an opportunity to play golf they also wanted to attract visitors and tourists to the seaside resort of Llandudno. The council employed James Braid to advise on the layout of the course. When Tom Jones became golf professional at Maesdu he helped James Braid to expand and develop Maesdu into an 18-hole semi-parkland, semi-links course. Visitors today might ask why the course was planned with a busy road dividing the first two and last two holes from the other fourteen. The answer is that what is now Deganwy Road was only a footpath in the early 1920s. In 1922 Tom Jones introduced the September Open Meeting at Maesdu Golf Club. The initial event comprised of the Duncan Challenge Bowl, Chantry Scratch Challenge Trophy, the Grand Foursome Challenge Tankards and the Mixed Foursome Challenge Cup. These competitions have remained an integral part of the Meeting ever since, although the original five day meeting has grown into the ten day event that golfers, both members and visitors, enjoy today. Tom Jones remained as golf professional at Maesdu for nearly 50 years and was made Club Captain in 1962. He became the first Welsh Chairman of the PGA where he met Robert Penfold and persuaded him to stage the prestigious Penfold Tournament at Maesdu. Many of the world’s top golfers took part in the tournament throughout the 1950’s and 1960’s including such names as Peter Alliss and Henry Cotton. Maesdu is proud to still have Tom’s two daughters, Pat and Elsie and his grandson Clive Brown, who is Deputy Chairman of the Championship Committee at the R&A, as members. The introduction of Junior golf lessons on a Saturday morning at Maesdu was the inspiration in 1951 for the formation of the Golf Foundation whose aim was, and still is, to encourage children and young adults to play golf. In 1962 Maesdu went on to form the first Junior section in the country with its own Junior Captain, Junior Secretary, Junior Treasurer and Junior Committee members. In 1964 the current Clubhouse was opened. It was described as being “among the best in the country and certainly the finest in Wales”. Today it boasts a comfortable lounge and bar, a beautiful restaurant with stunning views over the North Wales coastline, a new sports bar and excellent changing facilities for visitors and members. In 2001 the Professional Golfers’ Association marked the conclusion of its Centenary Year by planting 100 oak trees at various golf clubs, including Maesdu. The clubs chosen had a strong connection with the PGA such as hosting PGA Championships, the PGA Cup and Ryder Cup; those associated with the principle founders of the PGA in 1901, particularly J H Taylor, James Braid and Harry Vardon, the triumvirate that dominated British professional golf before the Great War; and those that had made a significant contribution to golf over the PGA’s 100 year history. The trees had been grown from acorns gathered at the famous Oak Hill course in Rochester, New York, which was the scene of the European Ryder Cup victory in 1995. 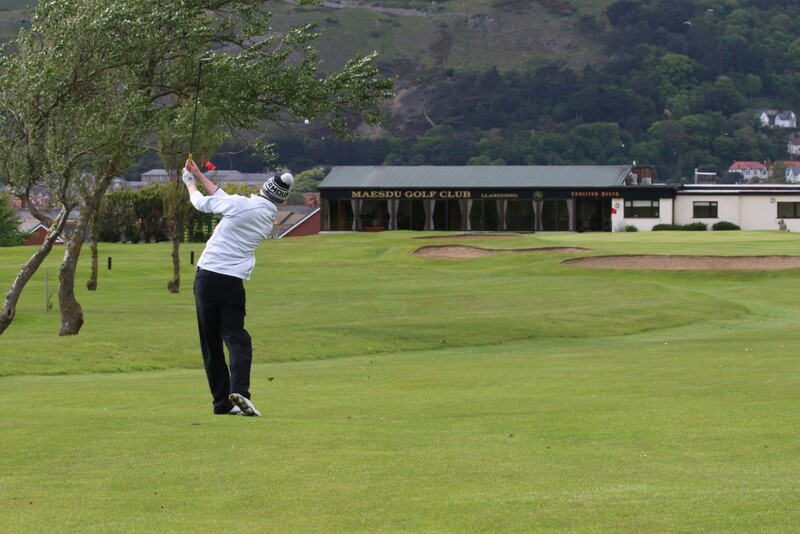 In 2013 Maesdu hosted the Ladies Golf Union Seniors’ Home Internationals drawing universal praise for the standard of the course, the facilities and the warm welcome from club members. The President of the Irish ladies Golf Union commented “You have a wonderful course. Thank you for a great event”. Maesdu were further honoured when chosen by the Welsh Golf union of Wales to hold the Welsh Open Youths Championship in May 2015. The championship attracted players from Scandinavia, Germany and France. In September 1938 Llandudno Golf Club (Maesdu) staged the first Professional Home International Series between professionals from England, Ireland, Scotland and Wales. The Llandudno Trophy, which is 26 inches high and weighs nearly 18 pounds, was presented to the PGA by Llandudno council. During the Second World War the Captain of the winning English team, Percy Alliss, kept the silver trophy on his mantelpiece. A bomb exploded nearby and the trophy fell to the floor resulting in the now famous dent to the lid. 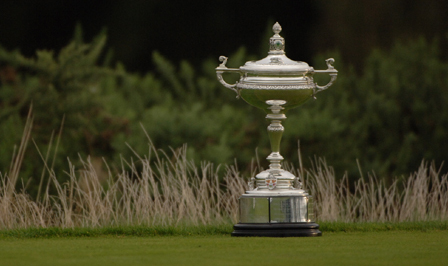 The trophy stayed in the Alliss household until the early 1970s when it was donated to the PGA. Since 1973 teams of club professionals representing GB and Ireland and the USA play in a biennial match showpiece for the PGA Cup.